This episode is a recording of the talk Ignoble Rot: Food Scraps as Compost and Energy by David Allaway, senior policy analyst with the Oregon Department of Environmental Quality (DEQ). David spoke about ways to reduce food waste, and also described some of the pros and cons of four ways of dealing with food waste once it’s been discarded: composting, anaerobic digestion, in-sink grinders, and landfills. He also had some interesting things to say about compostable packaging. 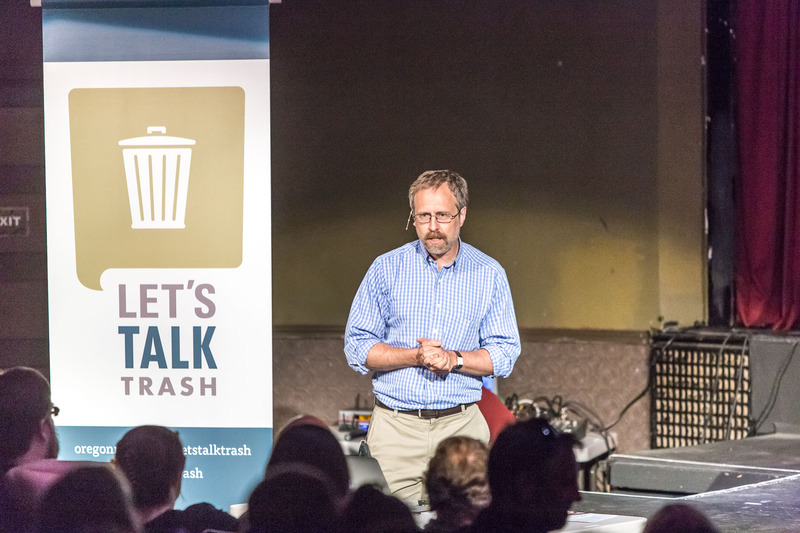 This event was held on May 5, 2015, and was produced in collaboration with Metro and their Let’s Talk Trash program. David’s slides have been synched with this recording and uploaded as an enhanced podcast, so depending on your media player, you may be able to see the slides as the audio plays along.